Every successful entrepreneur of a certain size company figured out at some point that he needed to hire a professional to run the company so he could do what he does best — create new products and services, explore new market niches and consider new ways to market existing products and services. Every company needs a balance between the creative visionary and the person who can focus on the day-to-day activities of running the company. The skills and vision needed to start a business are not the same as those required to keep it running. Walt Disney dreamed up ideas for Disney. But it was his brother Roy (right) who found the money to fund his big dreams. 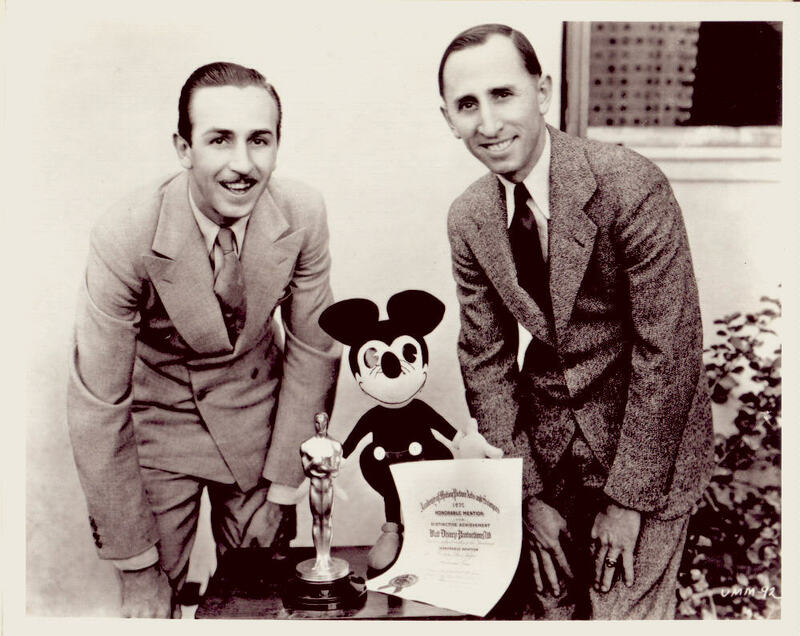 We are all familiar with Walt Disney, the creative genius behind Disney. How many people know that he actually started the business with his younger brother, Roy? Walt was the creative one, but Roy is the one who raised the money and kept it financially stable. In terms of revenue, it is now the largest media conglomerate in the world. Sometimes I am asked at what point an entrepreneur needs to hire a professional manager. There is no particular formula. It totally depends on the industry and the needs of the company. It could be at the $1 million level or one much higher, or even in some cases, lower. Rather than focusing on innovations to keep your company growing and increasing market share, you are spending more time on areas like accounting and managing a growing workforce. Getting help in those areas will allow you to focus on using your personal strengths to improve the company. You may be one of those entrepreneurs who actually is a very good manager and things have been going well so far. But you can only handle so many jobs, and if you are spending a majority of your time managing the company, who is managing the innovation to make the company continue to grow? A professional manager will not only take over some of the workload, she can bring new skills to the company and instill best practices from experiences at other businesses. She can also analyze the strengths and weaknesses of your business in a way you are unable to as the founder of the business. A successful entrepreneur is one that is able to recognize when he needs to hire professional help and is then able to make the transition to having someone else handle the day-to-day management. Look for me November 10 at 4:30 at the Book Festival of the Marcus Jewish Community Center of Atlanta. I’ll be discussing my book, ”How Not to Hire a Guy Like Me: Lessons Learned from CEOs’ Mistakes.” The event is free and open to the public. Click here for more information.